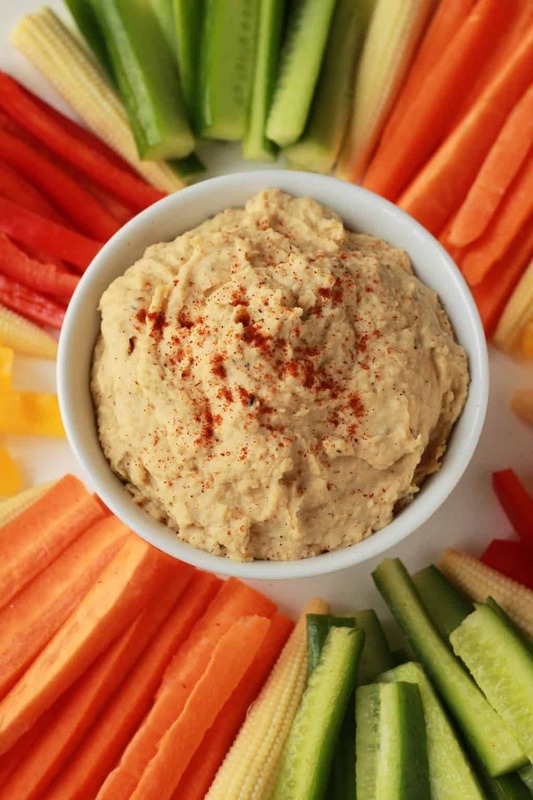 This roasted garlic hummus is easy, delicious and healthy! 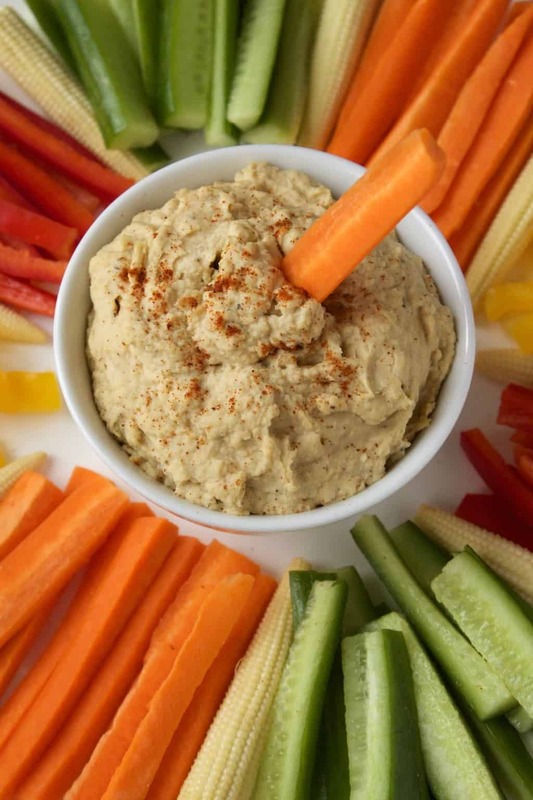 Nothing beats hummus when it comes to high protein, high fiber healthiness. 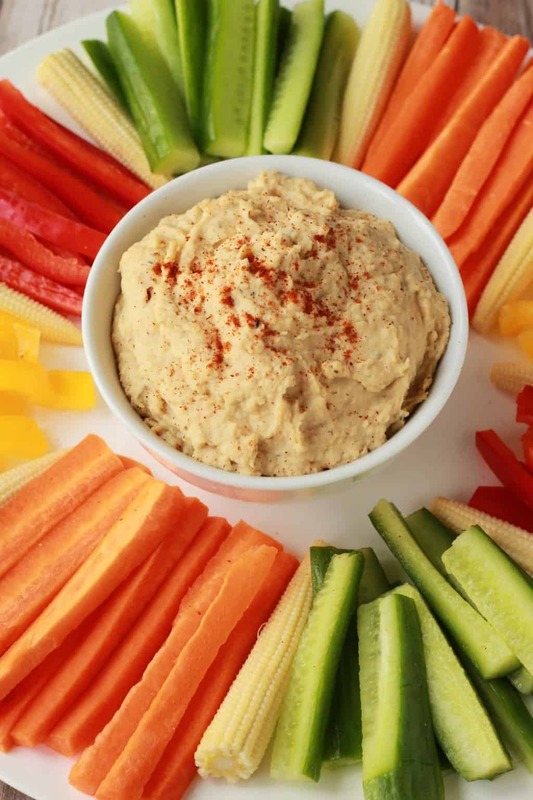 With raw veggies for dipping, or flat breads if you like, hummus makes a great snack, or appetizer. Roasted garlic is itself a dreamy thing. Roasting garlic takes all the bite out of garlic, leaving behind only the pure deliciousness of the garlic flavor. 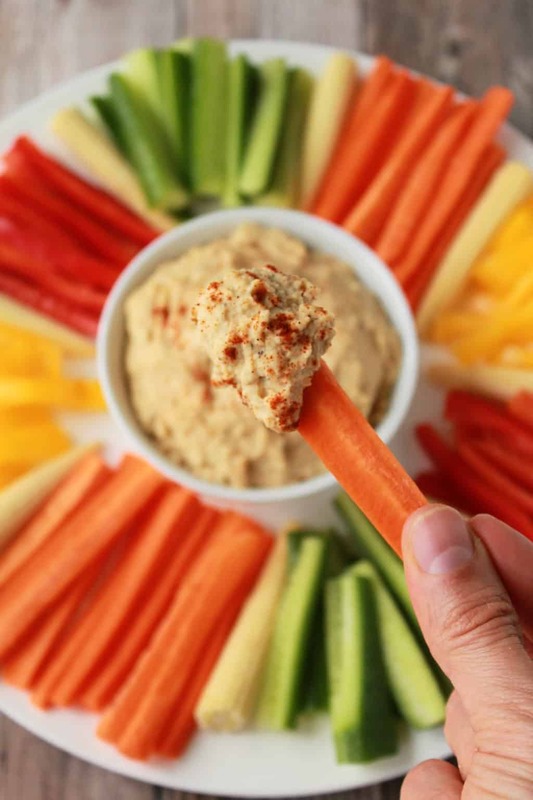 Blended into hummus, roasted garlic takes regular hummus and catapults it up several notches on the yum scale! 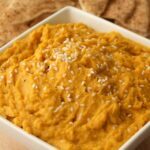 I’m a big fan of hummus, which is why I’ve already made spicy hummus and pumpkin hummus and coming up soon is some roasted butternut hummus. Oh yeah! 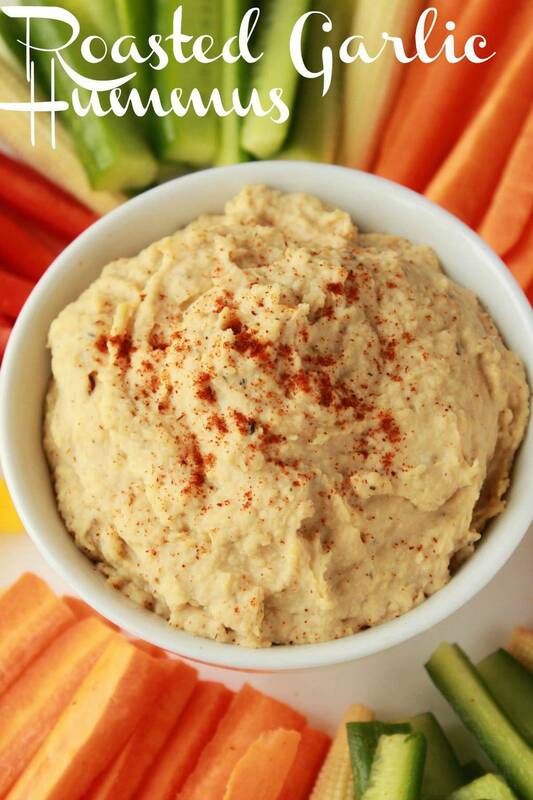 And when it comes to dips, you don’t want to forget about baba ganoush either! 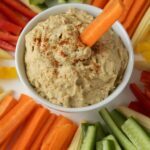 You might think that using a whole head of roasted garlic in this roasted garlic hummus equals an intense garlic flavor but that isn’t the case. The flavor is still subtle. It’s a rich flavor and it’s a delicious flavor, but it’s not at all overpowering. Just perfect really. 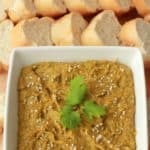 Roasting the garlic takes the bulk of time in this recipe, once the garlic is roasted, then it’s just a case of throwing everything into the food processor and a couple of minutes later you have hummus! Keep any leftovers covered in the fridge and consume within a couple of days. 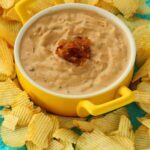 Use it as a spread, a dip or a salad dressing! I’d love to hear from you, any comments post them down below. 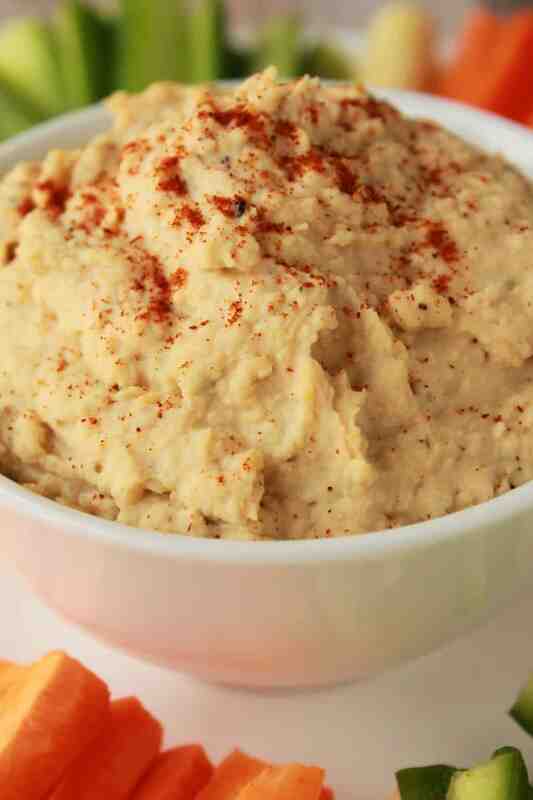 And if you make this hummus, let me know how it worked out! Tag us #lovingitvegan on instagram if you make any of our recipes and take pics! We’d love to see. And definitely subscribe to our mailing list. You’ll get a lovely (and free) ebook containing 10 recipes and you’ll stay updated with all our latest recipe postings. 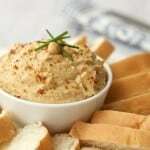 Creamy roasted garlic hummus. 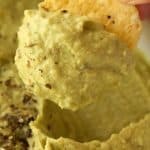 High in protein, rich in garlic flavor and delicious as a dip! Gluten-free, vegan and healthy! Remove just the outer flaky layers of the head of garlic, leaving the inner skins intact. Using a knife chop off just the tips of each clove. Place in tinfoil and pour over 1 tsp of olive oil and rub it around the sides so that the garlic is covered with the oil. Wrap it up in the tinfoil and bake in the oven for 35 minutes. When cooked, remove from the tinfoil, allow to cool for a few minutes and then pop out the cloves with your fingers. For a full tutorial of roasting garlic including pictures, see the post: How To Make Roasted Garlic. When the garlic is roasted, you’re ready to make the hummus. 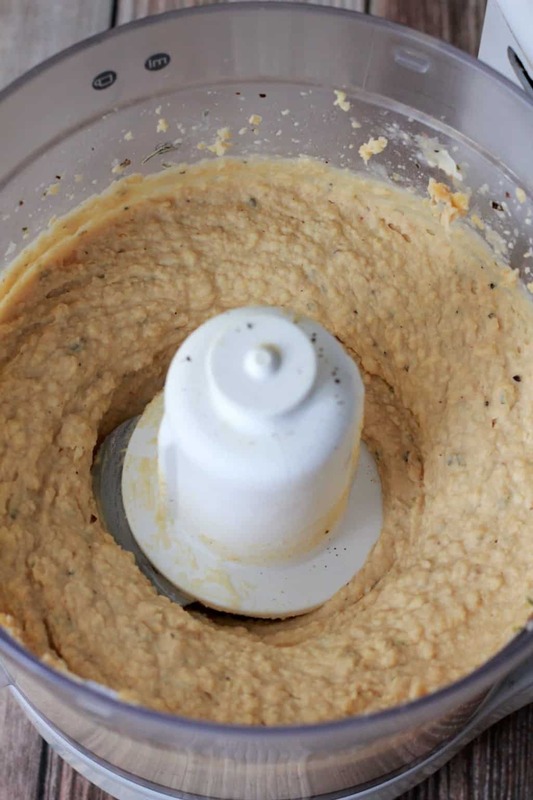 Drain the chickpeas and add to the food processor along with the roasted garlic cloves, tahini, lemon juice, olive oil and oregano. Process. If needed, add in the water to thin it out a little and achieve the right consistency. Process until smooth. Taste test and add salt/pepper as needed. 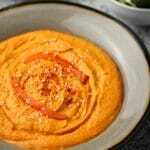 Serve with a sprinkle of paprika and some sliced veggies or flat breads for dipping. *Prep time includes the 35 minutes spent roasting the garlic.